The environmental topic has been extensively often discussed in the past several years. 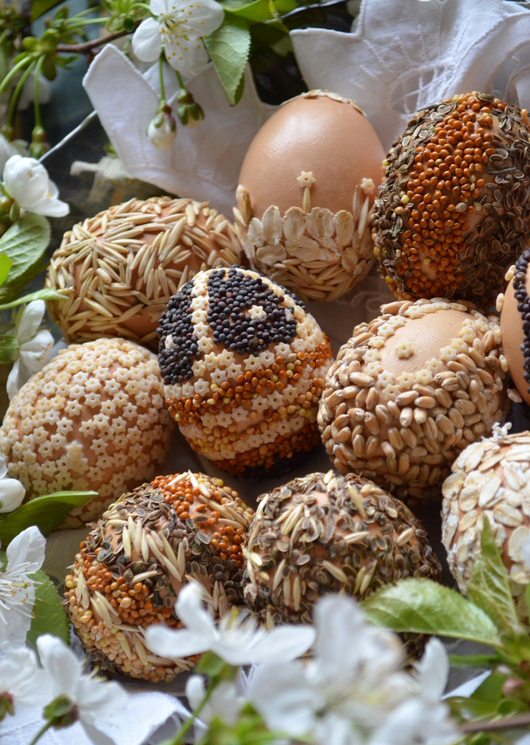 So if you understand how important it is to be eco-friendly and live green, you will sure like the idea for an eco-friendly Easter. 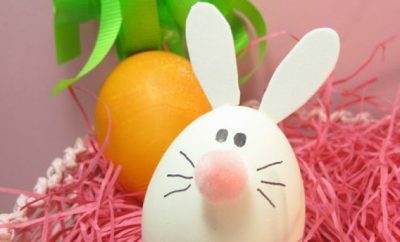 You’ll see that even without a store-bought kit and artificial colors you can actually have beautiful dyed and decorated Easter eggs. 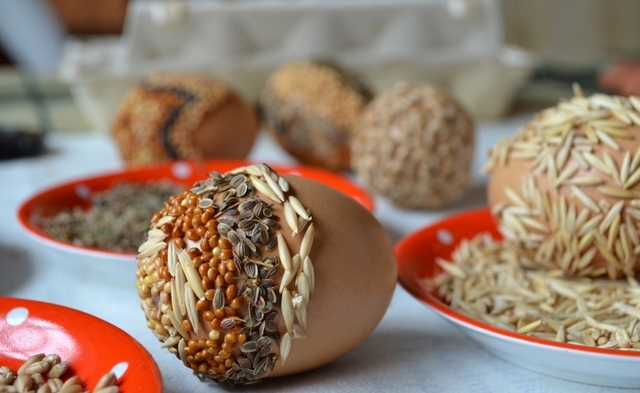 Learn which household ingredients you can use to decorate Easter eggs naturally. Instead of buying artificial dyes, go green and use dyes that nature offers for free. 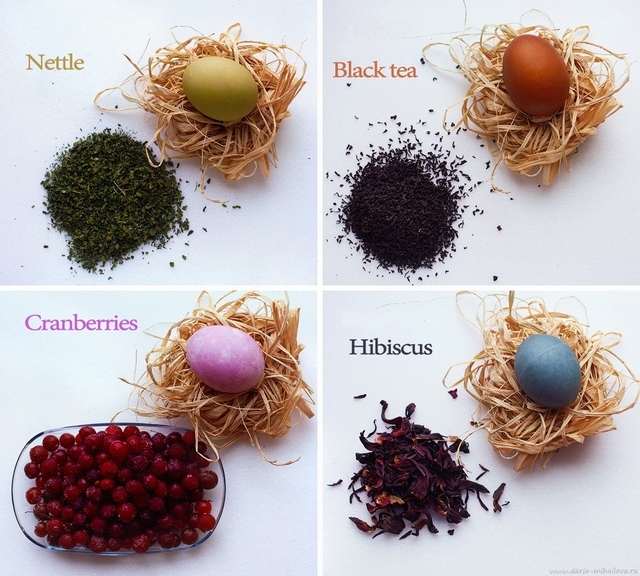 Decorating Easter eggs naturally with fruit, vegetable and herb dyes, is a step towards creating healthier homes and teaching kids about green living.You can experiment with different foods as coloring, but if you want to be sure which one to use for the primary colors, we’ve prepared a short list. 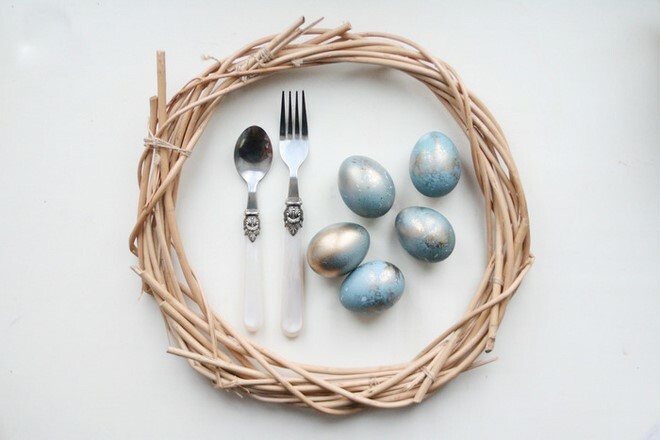 And remember – the longer the eggs stay in the dye, the deeper the color will be. Step 1. 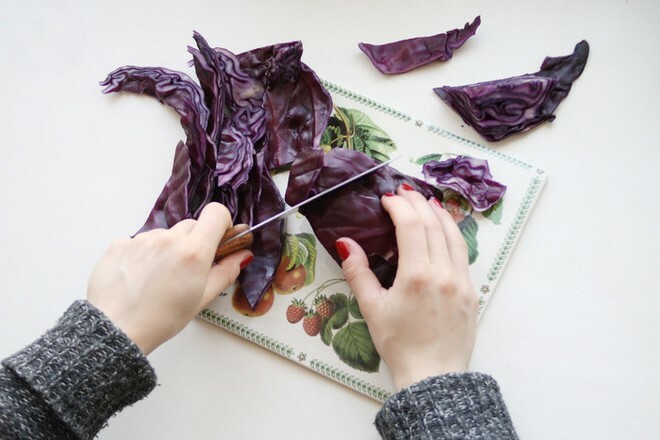 Cut the cabbage into medium sized pieces. Enough will be 1/3 of the head. If your cabbage is small, then use half of it. Put everything in a saucepan, pour in water and cook for about half an hour. Step 2. 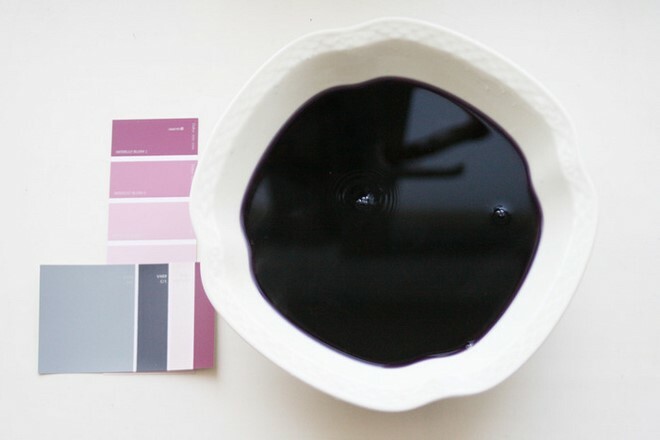 After half an hour, drain the water and strain it – the natural dye is almost ready. Now you need to add 4-5 tablespoons of vinegar. Step 3. 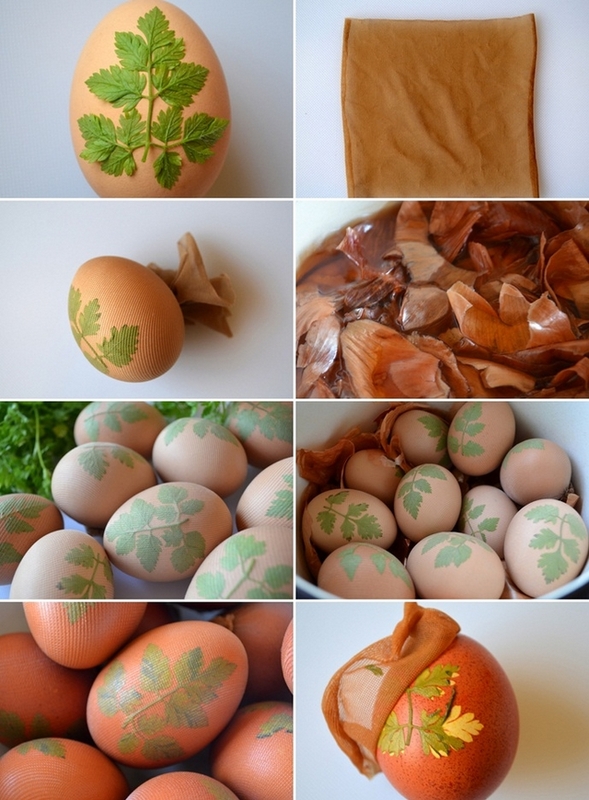 Immerse the boiled eggs into the water and leave for an hour and a half. The cabbage dye will have a saturated color of potassium permanganate, but the egg shell will not be colored violet, but blue. 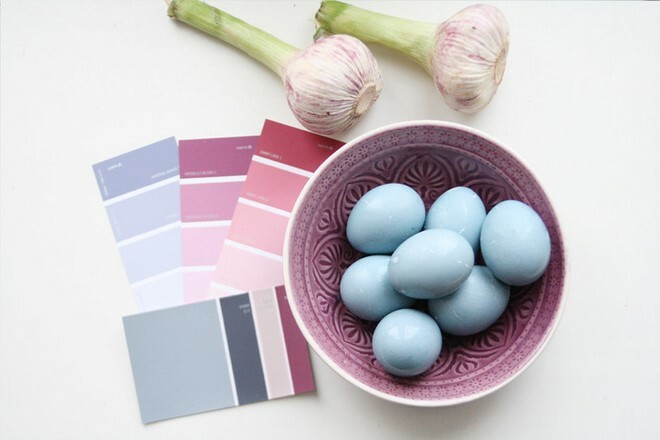 Be careful: Do not touch the eggs, while they sit in the paint, otherwise there will be white spots on the surface and the color will be uneven. Step 4. 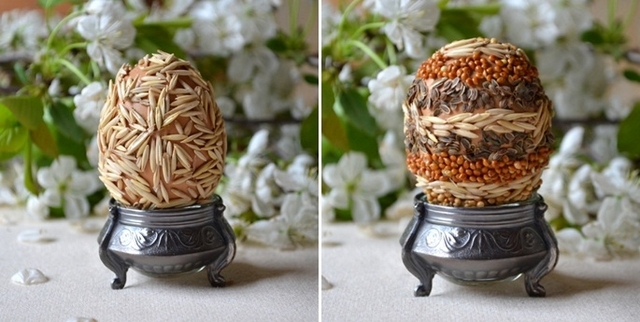 The next step is for those who want to make gold leaf gilded eggs. 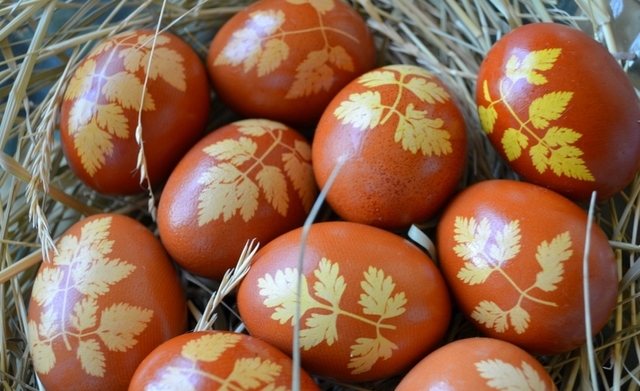 Dip a small wad of crumpled cellophane in gold paint and press it onto the egg for a splotched effect. First you have to blow out the eggs. 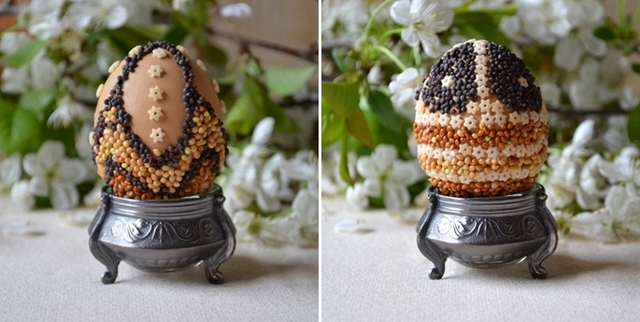 Pierce a thick needle into the egg and make two holes (2-3 mm in diameter) at opposite sides. Blow in one of the holes and the yolk and white will easily come out through the other hole. Rinse with water and clean the egg. 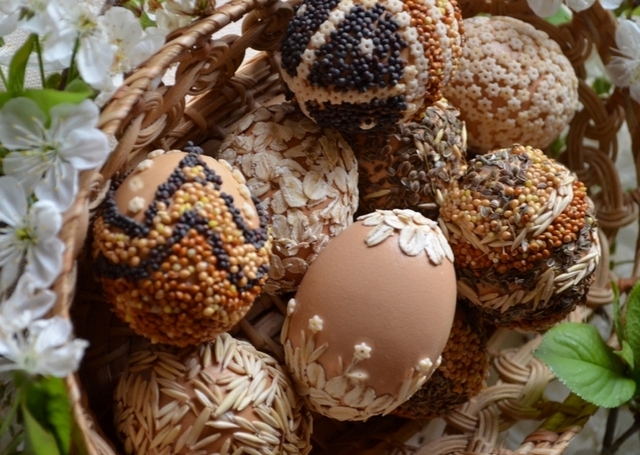 Then get the needed materials like PVA glue, a pencil, brushes for applying the glue, a thin stick to arrange the separate grains, various seeds, cereal and tiny pasta stars. Yet you need a lot of patience and time, because the work is not for one day. 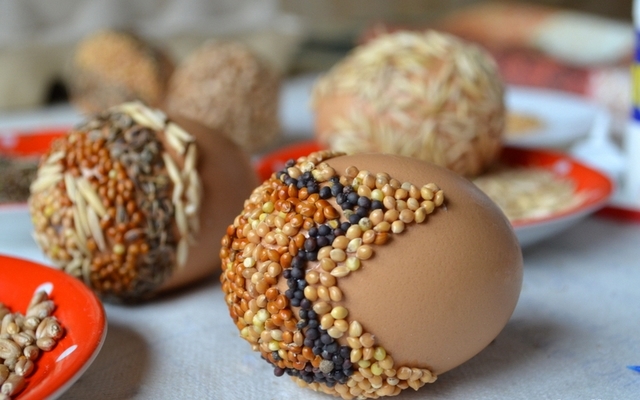 The seeds should be applied to the egg base gradually. Apply the glue, then the seeds and only after they dry out continue to the other side. You can first draw an image to follow or you can invent it on the fly. It’s a very exciting experience. 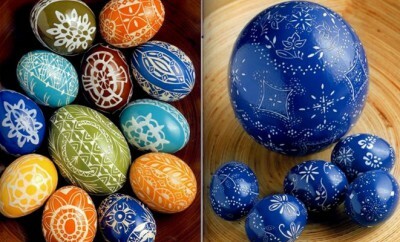 A traditional method for coloring Easter eggs and decorating with imprinted floral motives. Skin about 10 yellow onions and place the skins into a medium sauce pan along with about 4.5 cups of water and 2 tbls. of white vinegar. Cover the pot and leave to simmer on medium low for about 30 minutes. 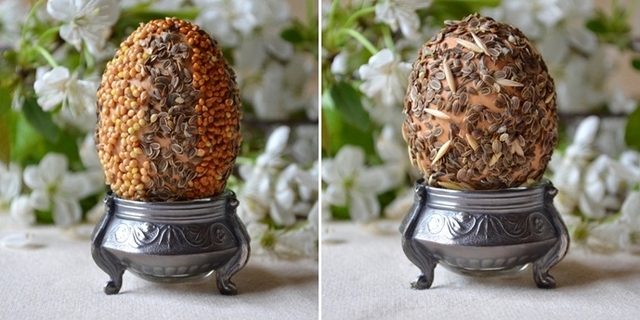 Place the leave or flower petal onto the raw egg and wrap it tightly in a small piece of pantyhose. Secure with a knot in the back or with pony tails. Place the raw eggs into the dye and hard boil them by bringing the pot to a light simmer on medium heat. Let the eggs sit in the dye until they cool enough to handle. Plece them into the refrigerator until they are as dark as you like. Remove gently the pantyhose and they are ready! 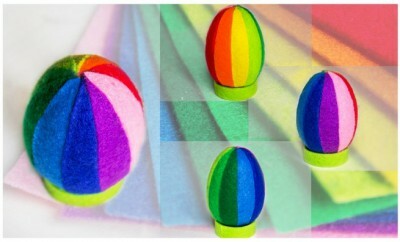 ← Previous Story 12 Easter egg decorating ideas – Be creative and go beyond egg dyeing!